A development that could bring in a change for all tablet and mobile devices, the ‘Invisible Glass’ is here. 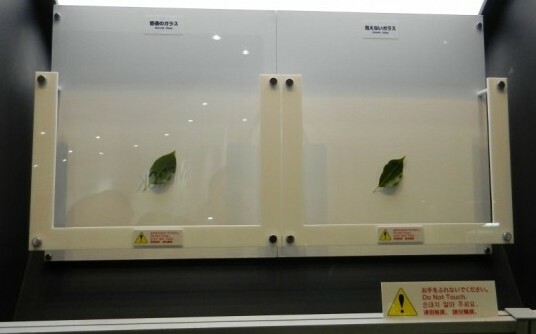 Developed by Nippon Electric Glass Co. Ltd, the company has been successful in reducing the reflection of light by placing a coating of anti-reflection film on both sides of the ‘Invisible Glass’. Normally 92% of incoming light passes through the glass and rest 8% is reflected on the glass. But now with this film on the glass only 0.1% of light is reflected. There is a layer of about 30 films or more on both the side of the glass and the thickness of each film can be measured only in increments of nanometers. If this glass is released in the market commercially, then it would be a great move for tablets, laptops and mobile phone manufacturers. It will also help users to use their devices in broad daylight.